Xiaomi MIUI Official Forum › Devices › Xiaomi Mi Pad 1 › MIUI 8 China Developer ROM 6.8.25 for Mi Pad 1 : Download Here!! [ROMs] MIUI 8 China Developer ROM 6.8.25 for Mi Pad 1 : Download Here!! Great News for Mi Pad 1 users, long waited MIUI 8 China Developer Rom Released for Mi Pad 1. MIUI 8 Rocks!! MIUI 8 China Developer ROM 6.8.25 Full Changelog is rolling out for Mi Pad 1 and other devices! From now on, many of you should be able to progressively receive the update over-the-air (OTA) on your Mi Pad via the Updater app.If you can't wait, download the full ROM here! 1) If you're using latest MIUI China Developer ROM, you will get MIUI 8 OTA update notifications on your Mi Pad. Or you can click 'Updater' app to check for updates. Don't forget to backup data before upgrading. For major bugs, please post a bug report here!Thank you! RahulTheVirus + 10 + 3 Thanks! I think I should drop this here. A quick look at what MIUI 8 brings to the table for Mi Pad 1 user. Pros - New Notification Panel is great. Pull down lag is gone. 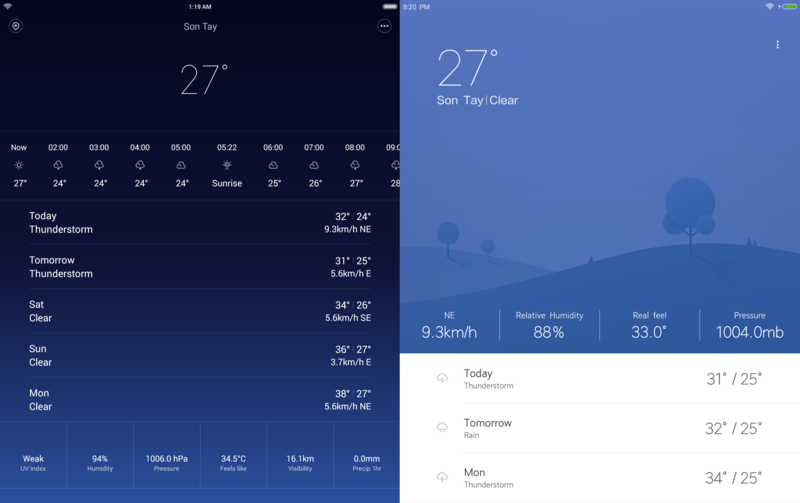 - System UI is much smoother than MIUI 7. - New weather app and system integration is great. - Three-finger swipe gesture to take screenshot is great. - Touch assistant is built in. - New security update (9/1). Neutrals - Default clock app is inferior to Google Clock. - Noone uses Mi Video and Mi Live around me. Cons - Glorious KITKAT in 2016. - Youtube LAG 'nuff said. It's been 2 years, hasn't it? - Same multitasking capability as MIUI 7 (or maybe just a bit better). - App performance is still mediocre. 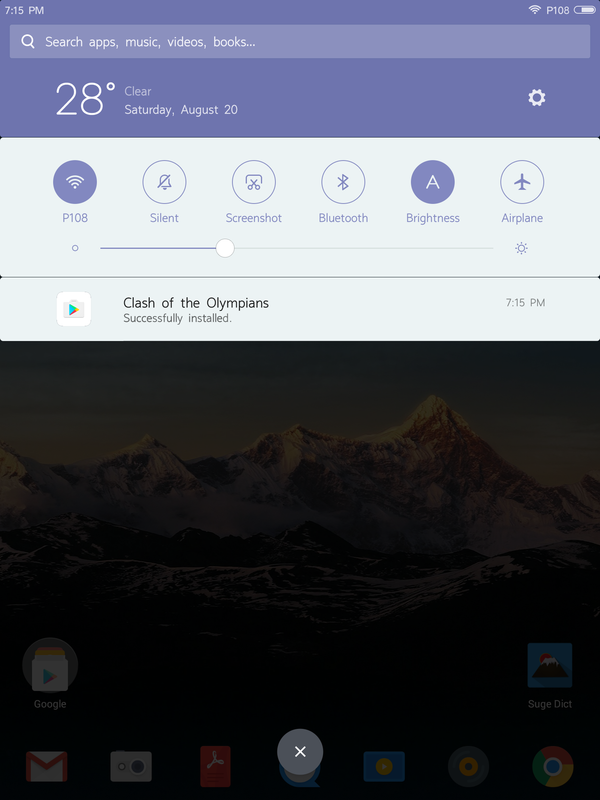 - No way to control default music player from notification panel. - No new requested features such as Theme, Security Center. - Glorious change log as always. - Same kernel found in MIUI 7 6.5.26. - MIUI 8 for the Mi Pad is a better MIUI 7 for the Mi Pad. - It's smoother and more easy on the eyes than MIUI 7 but deep inside its performance is still not very good, especially multitasking capability and app performance, which remains roughly the same. - Should you upgrade to it? Yes, you should, it can't be worse than MIUI 7, can it? For anyone using my bloatkill zips, I have tested bloatkill 5 & 6 and they work. Thanks for sharing this great news. I am currently on miui 7.5 stable .